The international Safer Internet Forum took place in Brussels on October 17th-18th. During the two days prior to the forum, Lee Marion Lepik and I participated in the activities of the youth and parents/teachers panels. These preparations were meant to give an idea of the thoughts, potential and wish of the youth’s participation in discussions and to give them confidence and an opportunity to gather their thoughts. Most Youth Panellists had come to Brussels with their parents, but there were also some teachers and accompanists. Some of the parents were teachers, yet a police officer, politician and an animator (sheeplive.eu) were also present. The youngsters were sent to the forum based on very different criteria e.g. the representative from Lithuania had won an Internet safety video competition. Some youngsters, like the representatives of Ireland and Germany had participated in similar forums earlier and led thematic youth organizations in their countries. Talking to parents, teachers and youth, I found out that a regular training programme like the Estonian „Smartly on the Web“ project offers does not really exist in other countries (with the slight exception of Finland). They do have trainings and information days, but these are not very regular and do not cover all the schools. In conclusion it can be said, that the Internet safety education for schools works very well in our country. However, the youth, parents and several presenters at the forum emphasized that the skills of parents and teachers are often below the skills of the youth. The youngsters tried to state that they are smarter online, but during mutual discussions, we came to an agreement that is would be more correct to say that the youth is simply more experienced. The youth and children spend significantly more time online than their parents, which explains their skills and capabilities. It was nice to see young people who listened, thought along and were willing to change/rephrase their convictions if the explanations seemed convincing. Yet the youth will not let themselves be labelled dumb and bravely stand up for themselves. One of the politicians presenting at the forum received a very strong reaction, when dropping the line „You, children, know nothing!“ during the presentation. The youth admitted that they often do not know the laws that should limit their activities online and in the real life and are very surprised when problems occur. For examples, the laws regarding sexual behaviour differ a lot in European Union member states, which can be confusing and enable breaking the law. The representatives of Youth Panels and parents/teachers discussed our wishes, messages and suggestions for the European Commission, politicians and enterprisers. What do we expect from them for the Internet to be a safer place? In short: the youth expects politicians to create laws, which would set clear rules and punishments for not following them for web content developers across the world. Cyber-bullying issues should be addressed by the police in every country and work in a manner that gives actual results when the offender is found. This would also require supplementary laws of cyber issues. European Union representatives are expected to unify the work of Helplines across Europe and develop criteria for „problematic“ website managers. Facebook might be physically located outside the EU, but it has to take into account our requirements, if it wants to stay in the European market. 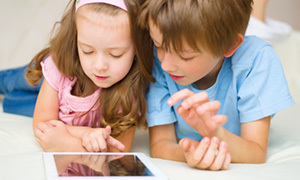 The enterprisers received a message, that the life of children and youth online should be advertisement-free and safe. A child/youngster should have the option to stay anonymous online, but it should also be easy to protect oneself from strangers. Web content developers are businessmen, but safety should not be given up in favour of profit. From their parents, the youth expect parental guidance and useful advice, which also gives parents the obligations to educate themselves in the constantly changing world. The awareness raising work and trainings for students, teachers and parents should all be done in cooperation with politicians, the European Union and enterprisers. Two days from morning to evening were full of activities, discussions, explanations. All the youngsters in this project were very aware of the dangers lurking online and could vocalize their thoughts very clearly. The youth thinks that cyber-bullying is a serious problem, led mainly by Ask.fm. However, they knew that children and youngsters often do not use the privacy settings of Ask.fm or other social networks to protect themselves from strangers’ comments. It was stated that the account settings of Facebook are made to confusing and there is a need for simpler and clearer rules. 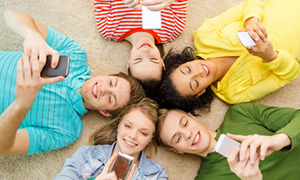 The youth thought that the privacy settings should be set on the maximum by default, enabling everyone to decide if they wish to show the world more. This would disable mistakes made due to insufficient knowledge. Over three hundred people from different occupations and areas participated in the forum, including politicians, scientists, law enforcement representatives, youth, parents, teachers, enterprisers and others across the world. The analyst, lecturer and scientist Jacek Pyźalski from Poland presented a research where the actual online skills/knowledge of students was compared to what teachers presume the students know/can do. It appeared, that teachers overestimated their students’ abilities. It would be crucial to know the actual capabilities for preparing a modern class and involving IT devices. The Scot Ollie Barry discussed the school education topic as well. His speeches made an unforgettable impression and I got a lot of good ideas for daily work both as a teacher and trainer. Ollie showed us a video, where every man can repair a car with the aid of interactive classes. Instructions with a video play in front of the ’handyman’s’ eyes and there is no need for the education of a mechanic. What is the future of teaching? Information is more easily available by the moment and studying extensive specialities basically loses its meaning. Yet the basics of teaching should not be forgotten and over-modernized as PowerPoint does not significantly differ from an old-fashioned blackboard-chalk combination and real life skills are more and more important for a normal daily life. Instead of teaching functional reading i.e. understanding the text, the texts should be developed in accordance with children’s development and understanding. We encounter the same issues online, where account settings are complicated and there are no instructions. The Youth Panel suggested the creation of an app, which helps to remember all of your different passwords in different environments and highlight any security holes in devices. Ollie Bray also confirmed my conviction that it would not be smart to not use the possibilities of modern technologies in educating children. Facebook, different web applications, computer games and the ever-developing possibilities of smartphones are very successfully applicable to education when approached creatively and with constant self-education. Are our teachers sufficiently educated and motivated for this? Can modern teacher’s education and supplementary training keep up? The government should support and motivate teachers’ supplementary trainings in IT and pay for web content or other solutions created for modern teaching methods. Parents, and why not grandparents, also need training and guidance, which they could ask for from children. The youth is happy to teach people older and younger than them and this should also be used for internet education. 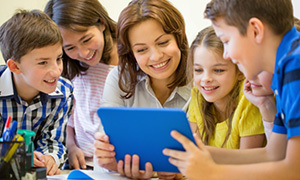 Would it not be nice to spend some quality time learning about a new app or device together with the whole family? Parents often buy complicated devices for their children, but do not understand anything about their structure or attributes themselves, thus leaving the youngster to figure it out alone. Of course, children can manage most of the things alone, but this also comes with risks: both mental and physical. Our youth is smart and clever. Online life is unavoidable today and whether we want it or not, we have to keep up with it as parents and teachers. The Youth and children are often left alone in this world and younger and younger kids have access to the wonderful world of the Internet. When buying a smart-device for a child, the parent also has the responsibility to support and help the child when using it. Time and inexperience are not excuses anymore as there are too many problems. If your child gladly talks about what he does online and who he talks to in addition happily accepting a parent’s friend request on Facebook, he probably does not have anything to hide and is a polite and caring person online. It is still school holidays and now is the time to check up on your children’s and students’ Facebook and Ask.fm accounts. The things on there are often quite ugly and sometimes even offensive. I would like to remind parents that you are responsible for your children’s actions in real life and online as well. Ask for them to show and tell what they do online. If your child refuses, there is probably something to hide… Yet their posts are often public and for the whole world to see/read, or maybe for a large group of friends. Internet safety and safer behaviour go together with daily behaviour so cyber bullying and using ugly words online is as unacceptable as in real life. Global forums are not very useful if we do not do the work at home. Internet is a magnificent place if we use it right and safe. Good luck with communicating with your children!